This article is about the summon stone. For the recruitable character, see Sandalphon (Event). 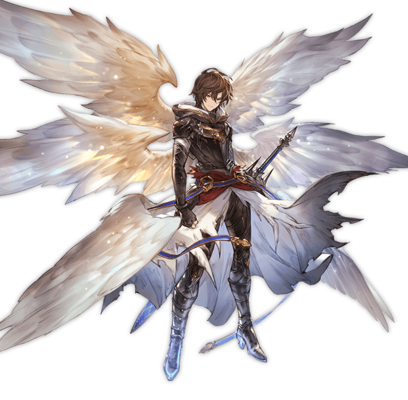 As Lucifer's heir, the new supreme primarch Sandalphon has pledged to carry out his friend's last request and watch over evolution in the skies. No trace remains of the bitter, purposeless archangel he once was. Dark Damage Cut. for 3 turns. 9T9 turn cooldown. The sub aura effect only takes effect for one copy of the summon. This page was last modified on 3 February 2019, at 20:23.